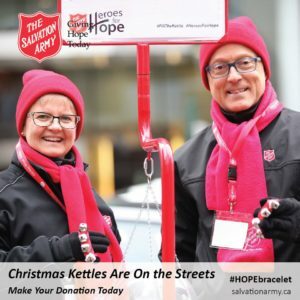 The Salvation Army Bells will be ringing at the Kamloops Blazers Hockey Game on Wednesday December5th at 7:00pm. Bring Your cash donation for the kettle and help our Mid Campaign Boost with the Blazers!!!! All money goes toward our Storehouse Food Bank, meal programs and basic needs to assist the most vulnerable in our community! !